This summer, Pokémon GO will receive a huge free summer update that is geared towards making the game more accessible and social. One of the update's big headliners is the introduction of cooperative Raid Battles. For Raid Battles, up to 20 players will be able to team up together to fight rare bosses, but they will need a raid pass to participate. Players get one free raid pass a day, with the option to purchase additional ones. If eligible to participate, players will see pokémon eggs randomly appear at gyms with count-down timers, which denote when they will hatch. This is the cue for nearby players to virtually assemble. When the counter ticks down to zero, the egg will hatch into a boss that the players have five minutes to beat. If they succeed, they'll get a chance to capture a rare pokémon (the details are unclear whether all participating players get this chance, or a limited number of them). Other Raid Battle rewards include raid-specific items such as rare candies, golden razz berries (which give you a better chance for catching wild pokémon), and technical machines (which allow trainers to teach their pokémon fast and change attacks). 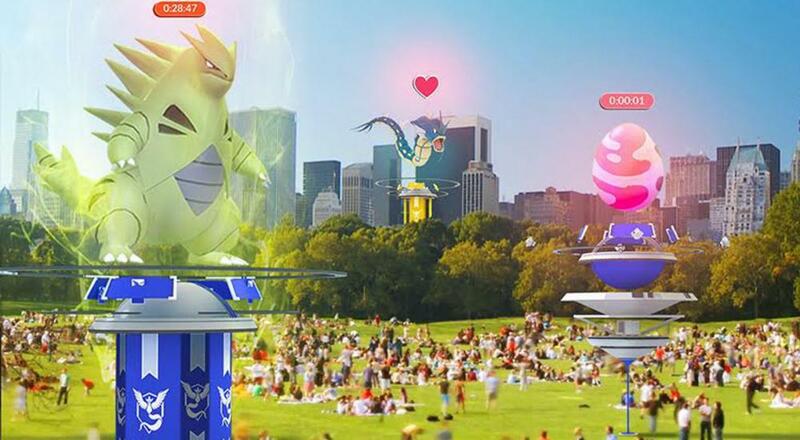 The Raid Battle update will be out sometime in the coming weeks (there's no release date currently announced). Page created in 0.8532 seconds.